The coolest little photo booth company in Kansas! 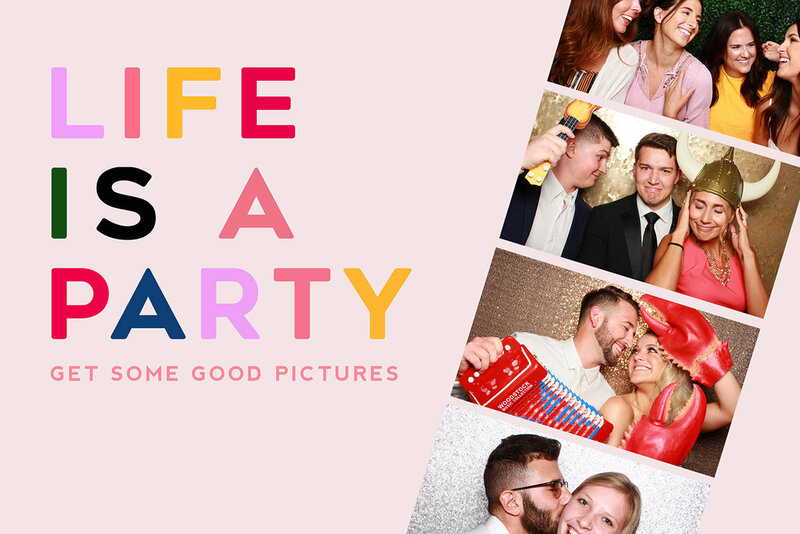 We believe in great pictures, fun props and giving your guests something they will treasure long after the party's over. We also believe that a photo booth doesn't have to be an eyesore! That's why we created our photo booths to take the clearest pictures and look awesome doing it! No messy wires, no clutter. Just a clean, cute, and very cool picture taking experience. Planning a wedding reception, corporate event, or a really awesome public shindig? Have a look around and see what makes Lamphouse Photo Booths the best in Wichita! Compact, classic and ready to party. The Birdie is perfect for indoor events like wedding receptions, public parties, corporate soirees, and more! The Birdie: Vintage is an eye-catching open-air style booth with lots of personality. This vintage booth is perfect for weddings and events where a more traditional photo booth look is needed. Great for small groups and vertical photos. From awesome backdrops to colorful, unique props and plenty of extra prints to go around. Hit the button to learn about all of the awesome stuff every rental includes and any add-ons that might make you smile even more! The Birdie Booth captured more than 25,000 images last year! That's a whole lot of goofy smiles and group photos. See every single one of them and get some inspiration for your upcoming Birdie Booth session! A party on wheels that's sure to draw a BIG crowd, the Little "Lampy" camper is Wichita's only vintage camper photo booth and is perfect for large, outdoor events like corporate parties and very special indoor events like weddings! Just how does the Little "Lampy" camper work? What's it like inside? How many people can fit in there? All of these questions answered and even a few photos, too! Right this way for the camper tour! From the coolest props, prints galore, custom designed layouts, and more! Click the button to find out what's included in a Little "Lampy" camper rental! Every Little “Lampy” Camper rental includes your choice of backdrop and with over 20 to choose from, that means fringe, sparkles, flowers and more at your fingertips! Check them all out here or see them in action in the camper gallery.